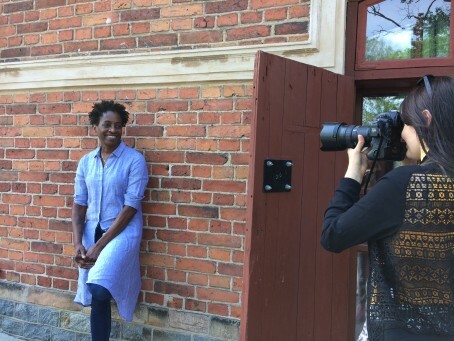 The American author Jacqueline Woodson is in Sweden to receive the world’s largest award for children’s and YA literature, the Astrid Lindgren Memorial Award 2018, presented by H. R. H. Crown Princess Victoria. Members of the press are invited to cover the ALMA award ceremony in the Stockholm Concert Hall on May 28 from 5:45 p.m. to app. 7:00 p.m.
Jacqueline Woodson, an American author who writes about turning points in young people’s lives, is in Sweden to receive the Astrid Lindgren Memorial Award. During ALMA week May 22-28 Woodson will meet Swedish media and do author talks, meet students and visit Astrid Lindgren’s childhood home in Vimmerby. The visit concludes with the festive award ceremony in the Stockholm Concert Hall where H. R. H. Crown Princess Victoria will present Jacqueline Woodson with the prize diploma and Swedish Minister for Culture and Democracy Alice Bah Kuhnke will give an address in her honor. Navid Modiri will act as master of ceremonies. The program for invited guests also includes artist performances and entertainment. For credentials, please contact Mariella Kucer at mariella.kucer@alma.se or +46 (0)76–5401017. Pictures and high-resolution video from the ceremony will be published in the ALMA digital newsroom the same evening. Jacqueline Woodson was born in 1963 and currently lives in Brooklyn. She published her first book in 1990 and has since written more than 30 titles, translated into some ten languages. She writes about turning points in young people’s lives and relationships in a world of prejudice and adversity. Her most celebrated title is the award-winning memoir Brown Girl Dreaming, shortly to be published in Swedish by Natur & Kultur as Brun flicka drömmer, translated by Athena Farrokhzad. This entry was posted on May 22, 2018 at 12:27 pm and is filed under Uncategorized. You can follow any responses to this entry through the RSS 2.0 feed. You can leave a response, or trackback from your own site.